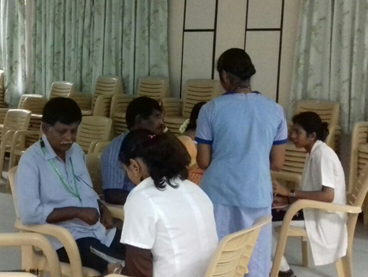 A general eye screening camp was conducted at HRC Rural Health Centre, Rowthankuppam in collaboration with Indian Medical Association, which organized it, as a Multi-speciality camp on Sunday, the 15th July 2018. 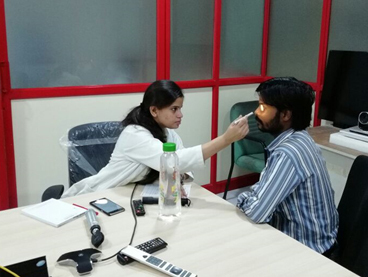 We had 173 outpatients for eye problems and 61 patients were diagnosed to have Cataract. 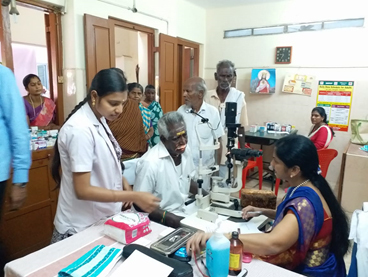 Patients were being picked up by our Hospital vehicle in small numbers and operated at Jothi Eye Care Centre, free of cost, after complete work up and evaluation. 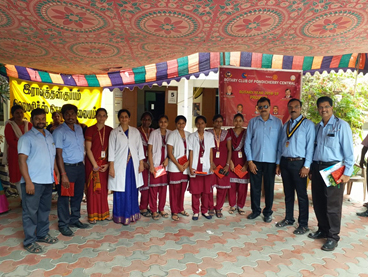 The program was planned and executed under the guidance of Dr. H.T. 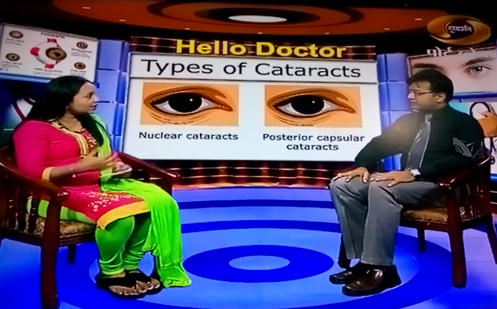 Venkate Gowda, Professor and HOD, Department of the Ophthalmology, AIMS ,B G Nagara. 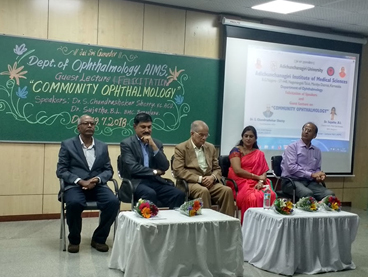 Prof Dr S Chandrashekhara Shetty, Honourable Vice Chancellor, Adichunchanagiri University,B G Nagara and Prof Dr Sujatha B L, Director and Medical Superintendent, Minto Eye Hospital, BMCRI, Bengaluru were felicitated by department of Ophthalmology. 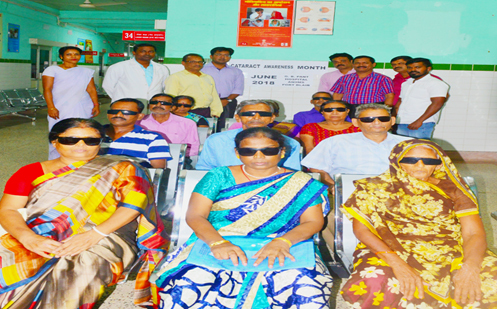 Our speakers Prof Dr S Chandrashekhara Shetty and Prof Dr Sujatha B L highlighted important aspects of NPCB,VISION 2020,global burden of cataract and elaborated on comprehensive eye care. 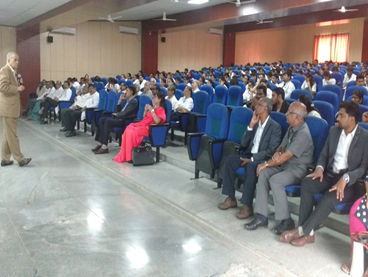 The guest lecture was attended by our beloved principal Dr M G Shivaramu, Registrar Mr Umesh, Professor and HODs of other departments of AIMS,other faculties,under graduates and post graduates. This session was informative and carried a useful message to all.